Our Resident Teacher is Tenney Nathanson Sensei. Our Head of Practice is Jennifer Sellers. Our founding Holding Teacher is Joan Sutherland Roshi, now retired from active teaching. 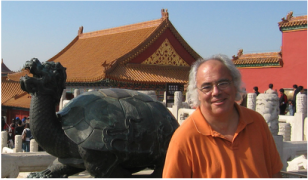 Tenney is a teacher in the Open Source / Pacific Zen tradition, authorized to teach by Joan Sutherland in March 2012. He started studying with Joan in 1997, regularly attending retreats with her in northern California and in Santa Fe. In 2008 he and Jennifer Sellers started Desert Rain. A poet as well as a scholar of American poetry, Tenney is fascinated by the life-changing power of both koans and poems to open us up to intimate experiences of emptiness and form, and by the ways these experiences can change our day to day lives. Tenney lives in Tucson with his family, where he teaches in the University of Arizona English Department and helps lead the arts collective POG. Here's a link to his ﻿University of Arizona web page﻿. Having practiced meditation for the past 25 years, Jen began studying with Joan Sutherland in 2005. 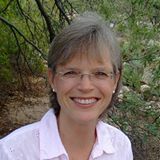 In 2008, she and Tenney founded Desert Rain Zen. Jen serves as Desert Rain's Head of Practice and is President of its Board of Directors. She is an executive coach specializing in mindful leadership. Jen lives in Tucson with her husband and two daughters, where she enjoys the transformative power of the outdoors, yoga, and holding space for Desert Rain Zen. Here's a link to Jen's Inspired Mastery coaching page. Desert Rain's founding Holding Teacher is ﻿﻿﻿﻿Joan Sutherland Roshi﻿﻿﻿﻿; we're part of her ﻿Open Source﻿ network of Zen groups. Joan retired from active teaching in 2014. You can keep up with her continuing writing and other projects through Cloud Dragon: The Joan Sutherland Dharma Works. Until her retirement, Joan led Awakened Life in Santa Fe.